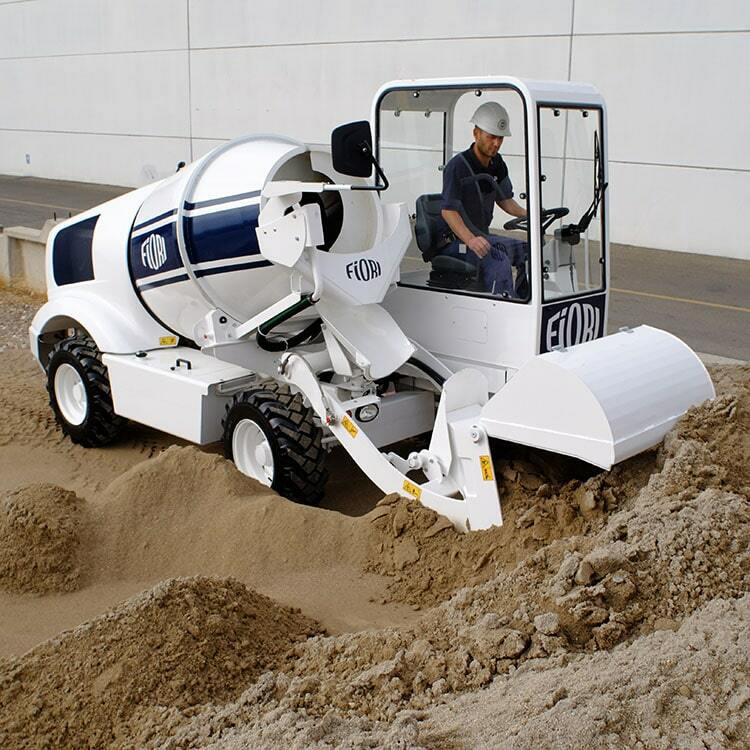 Dominion Equipment Parts now carries three Fiori dumpers and six Fiori concrete mixers! Click here for a full spec sheet. 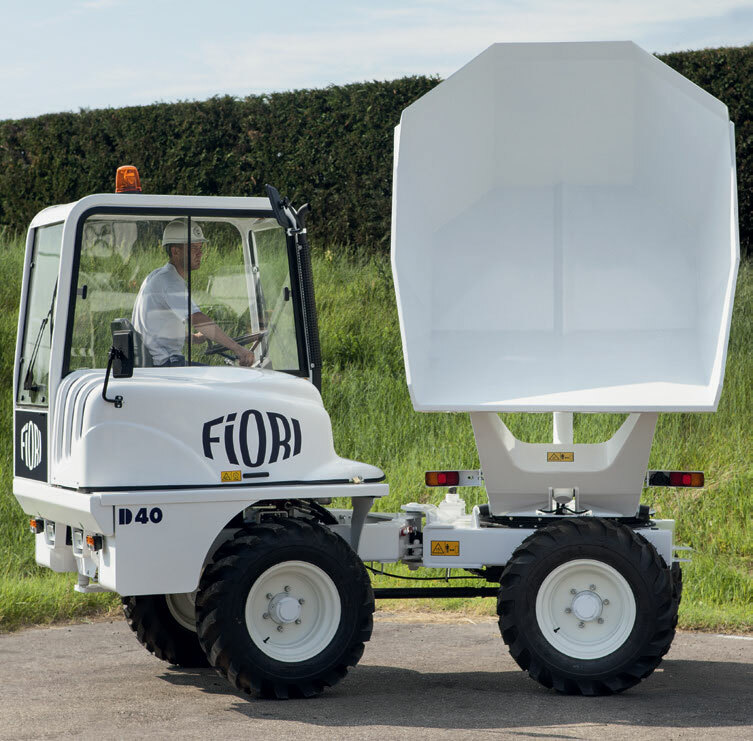 This vehicle is extremely versatile, with unrivaled performance in restricted spaces such as narrow alleyways in city centers, lanes or alleys, or tunnels, and provides the ideal solution when driving reversibility, visibility and safe maneuverability are absolute necessities for transport of materials. This is the most compact vehicle of its segment (8,800 lb capacity, 180° pan rotation, and three-way dumping). 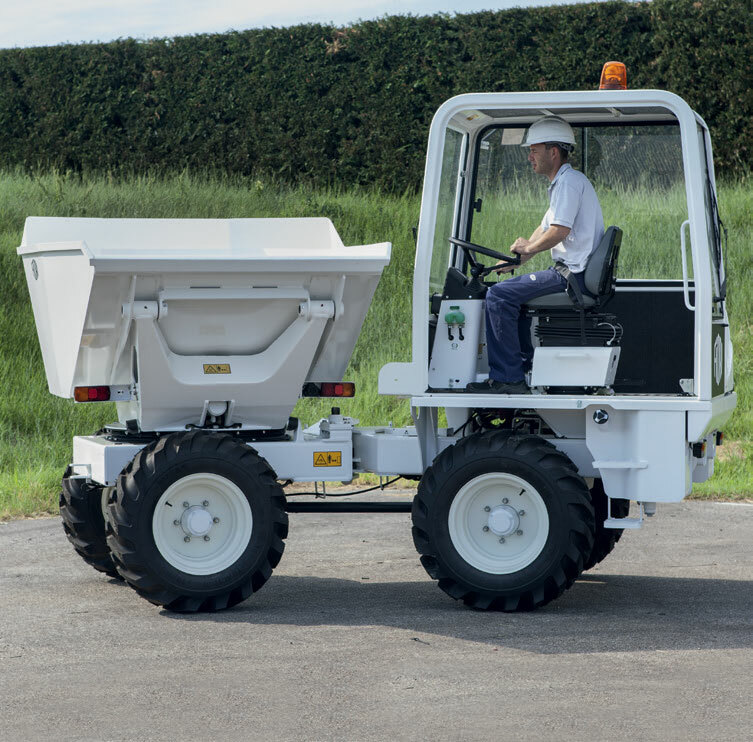 FIORI GROUP dumpers guarantee perfect traction and maneuverability on rough terrains, while also ensuring driving safety, flexible and user-friendly in both directions (forward and reverse). 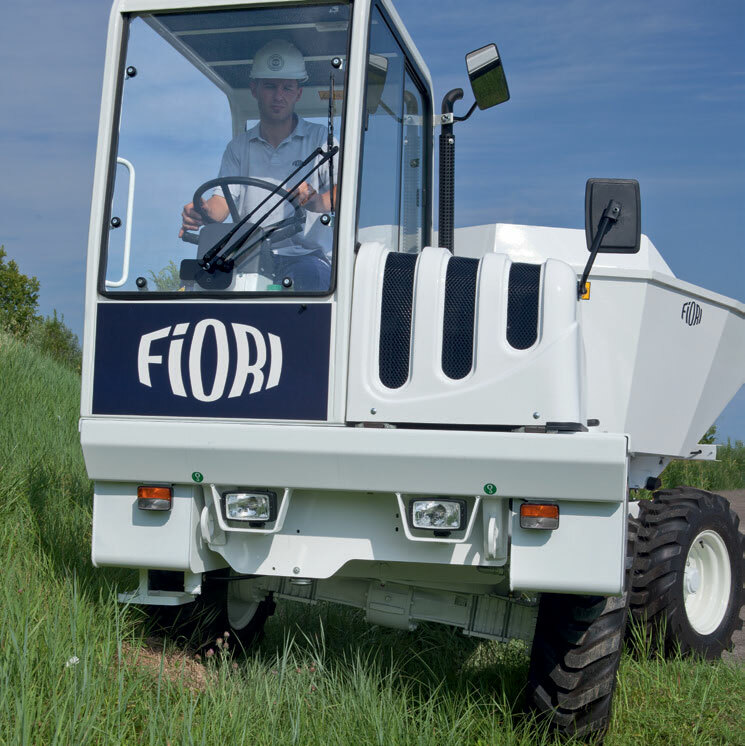 Fiori off-road mixers are incredibly compact, agile machines. 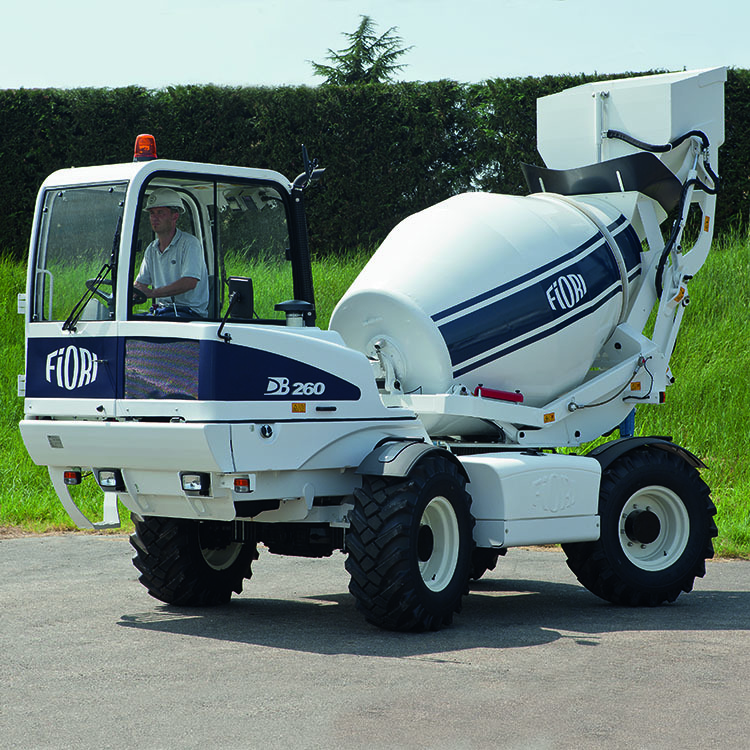 Fiori concrete mixers in this range may be used as an alternative to small and medium-sized concrete-mixing systems. They provide exceptional handling, maneuverability, and flexibility which is highly enhanced by the reversible driver’s seat and a drum rotation system for 360° unloading. 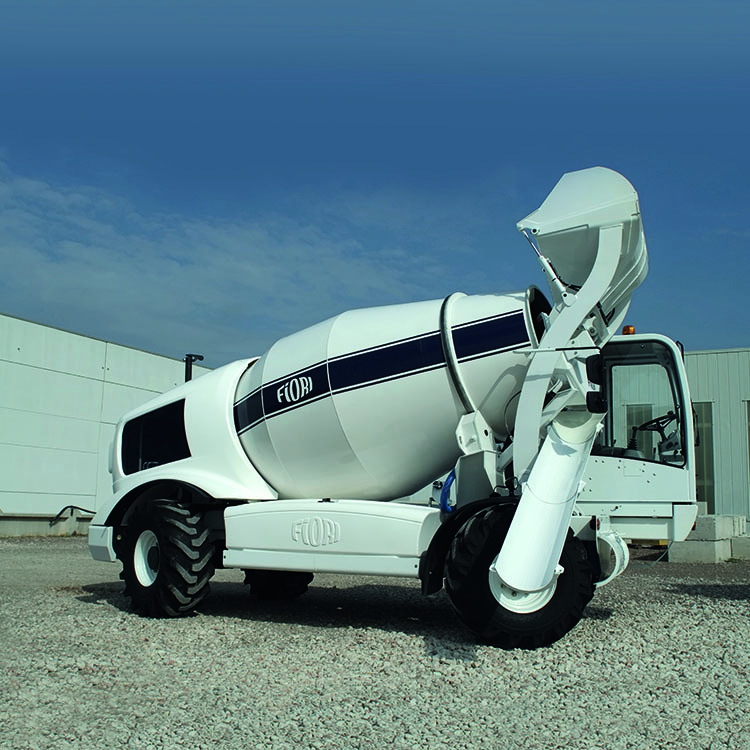 Fiori concrete mixers are equipped with an innovative computerized production system and produce top quality CERTIFIED concrete consistently time and time again. The quality of the concrete and unprecedented advantages offered over other options with the use of our CBV 2.0 technology are exclusive features of Fiori self-loading mixers. 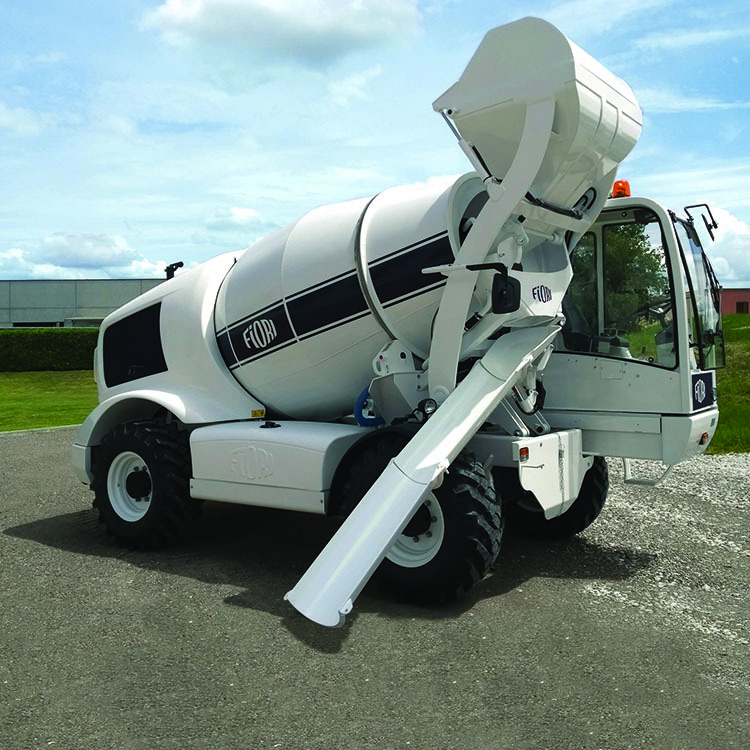 This new and innovative product fits a niche for producing CERTIFIED concrete in remote areas at less cost for smaller mixes. These units allow customers to work around the clock without relying on batch plant hours. Money is saved because of efficiency, and there is no waste from minimum batch charges or delivery limits. Precast sites or remote sites will become much more efficient with the use of these Fiori Mixers. Fill Out the Form Below and We’ll Set up a Consultation!